The album opens with The Grey Pride Parade, a song that follows the extravigant lyrical stylings that Captain Vulpine! has made famous. Spiced with wonderful rhyming patterns, The Grey Pride Parade sends the listener on a lyrical journey that is just as much fun as the densely layered music it compliments. While bile beguiles a smile from the vile all the while bewitching twitching pyres. “Do you take me as a scarecrow? Do I not yearn to fly? The album closes with A Life Of Quiet Shame, a poignant song about life in & out of the spotlight of public life. In his liner notes for the demo released during FAWM, he spoke of how this song came about & how he simply broke all of his usual song writting rules & churned out this beautiful little tune with more honesty then he perhaps desired. 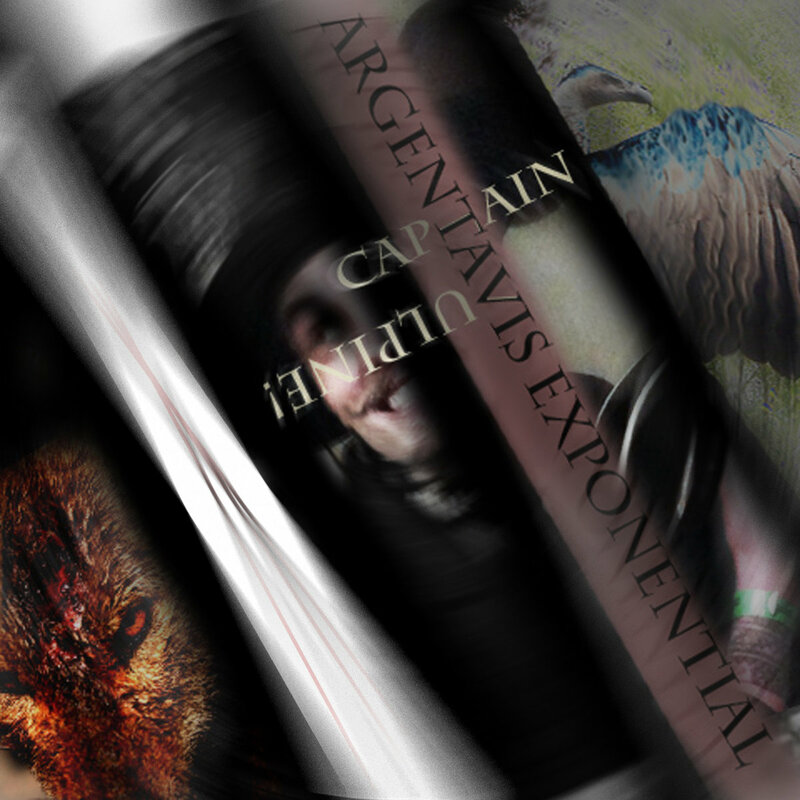 Argentavis Exponential is available from Captain Vulpine’s Bandcamp site. And if you double your money (plus thirty cents) you can purchase his entire discography at a reduced cost (35% off!). All the mayhem, dirges & sea shanties to keep you wondering if the world out beyond your front door is truly as safe as you believe it to be. Take a few moments, buy his albums & enjoy the mad genius that is Captain Vulpine! This entry was posted in FAWM, Music, Music You Need To Hear… and tagged Captain Vulpine, dark spooky scary, deathrock, demon, demons, dirge, Experimental, music, Music Review, mutiny, philosopher, pirate, pirates, Portland, sea shanty, showtunes, theathrical.